To say that legendary Philadelphia Phillies broadcaster Harry Kalas will be missed is akin to saying that Richie Ashburn, Kalas' longtime broadcast partner and fellow MLB Hall of Famer, was a good centerfielder. Yeah, it's true, but such a bland compliment only begins to tell the story of how much Kalas meant to the city of Philadelphia. Kalas, 73, died Monday while getting ready to call the Phillies-Nationals game in DC. It was fitting that he died in the press box, because that's where "Harry the K" was able to touch the most people. Kalas and his velvety Midwestern voice began calling Phillies games in 1971, long before a large chunk of the fan base was even born. But whether you heard Phillies games before the Kalas Era, like my 68-year-old dad did, or not, there is no denying that everybody has stories about summer nights spent listening to Harry and "Whitey" Ashburn call games on WPHT 1210. There are few, if any, Major League Baseball cities with as many fans still listening to games on the radio as Philadelphia. And why is that? Kalas, of course. Once you started growing up listening to him, whether it was during the prosperous 1980's or the mid-90s endless run of 90-loss teams, there was no better way to follow the "Phightins." Thankfully for Kalas, he got to witness, and call, the Phillies' World Series victory last October. 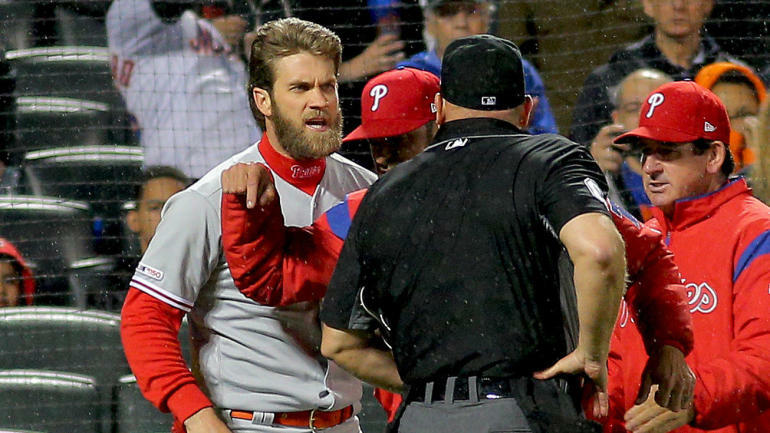 Had this not happened, and Phillies fans been subjected to the uber-irritating Chris Wheeler, the whole thing just would not have been the same. Now, Wheeler shares the broadcast booth with former Phillie Gary Matthews and play-by-play analysts Scott Franzke and Tom McCarthy. While that foursome is OK, and the product on the field is as good as it has ever been, Phillies baseball just won't be the same without Harry and his famous "Long drive...Watch that baby...OUTTA HERE!" calls every time Ryan Howard puts another into row 20 in right field. As former Philadelphia Inquirer columnist Jayson Stark said in his recent column, "Harry Kalas was so much more than the voice of the Phillies; He was the Phillies." No one, with the possible exception of Kalas himself, could have said that any better.